Zhao Liying is a Chinese TV and film actress. This biography profiles her childhood, family, personal life, achievements, career, and interesting facts. 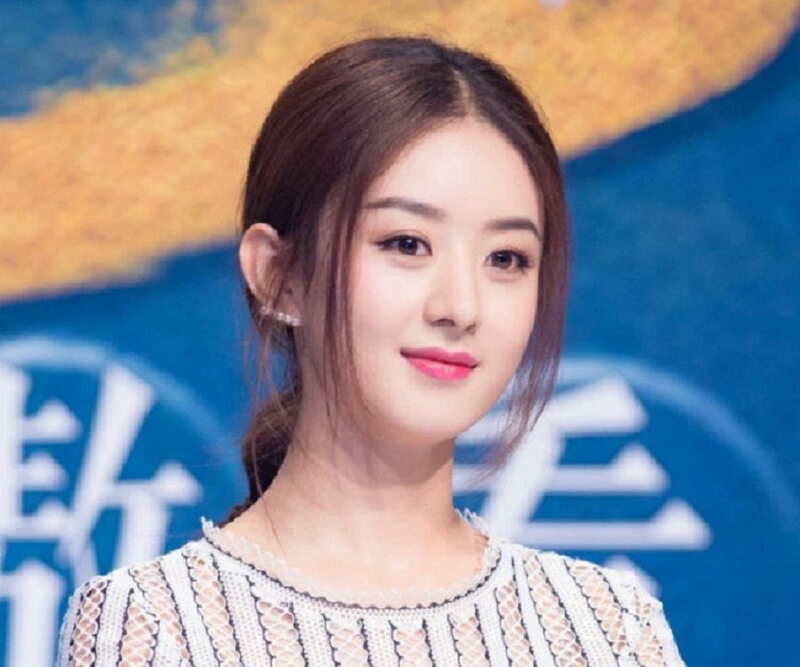 Zhao Liying is a Chinese TV and film actress who is currently known as the most paid Chinese TV actress among her contemporaries. 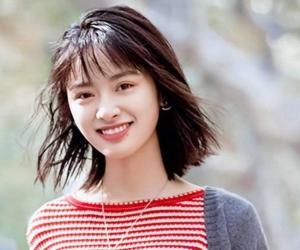 Hailing from a very humble childhood, Zhao was quite well aware of her good looks and the acting talent that she possessed, but was not quite confident about making it big in the entertainment industry. The fate had other plans for her and when she finally indulged herself in the acting business, she struck gold. She started her acting career with ‘Century Endless Love’, a series which was never broadcast. She made her debut with the 2007 ‘Nanyue King’ and in the same year, she appeared in the film ‘Mudan Pavilion’. After doing several big and small roles in films and TV, it was the TV series ‘The Legend of Lu Zhen’ that got her stupendous exposure in the industry. She played the titular role in the series. After that, she appeared in back-to-back successful TV series’ and slowly became one of the best Chinese TV actors of the present times. She has been honoured with several awards for her performances. Zhao Liying was born on 16th October 1987 in Langfang, Hebei Provice of China into a middle class family. She grew up in her hometown as an ordinary kid without any serious expectations of making a career in the show business. But somewhere during her high school days, she became increasingly interested in a career in films and TV. She was good at studies and did some plays in the high school and wanted to pursue acting, but her parents opposed that, so she had to attend Langfang School and study Electronic Information engineering. She worked as a secretary in a local company, and at the same time, she started auditioning for film and TV roles. The year 2006 proved life turning for her, as she was chosen as the final winner for the ‘Yahoo Search Star Game’. She got wide exposure, and thanks to her blissful ‘girl next door’ looks, talent agencies rushed to sign her on. She then signed on with Huayi Brothers as a fresh talent, and got some early stints in form of advertisements, and in one of her early ads she featured with a popular Chinese actress Zhou Xun and took a few tips from her to improve her acting. As expected, Zhao started getting offers soon enough and shot for small parts in a couple of TV series’, which never went on-air. For a brief period of time, Zhao became extremely disheartened, though the offers didn’t stop coming her way, most of them were small and insignificant parts. But she said yes to them nevertheless and finally made her debut with the 2007 series ‘Nanyue King’. The year 2007 was the opening year of her career, and apart from appearing in ‘Nanyue King’, she also played a small role in ‘Golden Marriage’. Both the dramas were not very well received but Zhao was willing to do such parts for gaining some exposure and contacts. In the same year, she made her film debut with ‘Mudan Pavilion’. The year 2008 proved to be better for her, as she got to play slightly bigger roles in TV series’ ‘Spring Goes, Spring Comes’ and ‘Four Women Conflict’ and films ‘Love Killed Nine River Hall’ and ‘Ten Warriors in Washi Mountain’. Although she was learning quite a lot from these early roles, she wasn’t getting what she desired, but she knew that this was the only way to climb the ladder up in the acting business. In 2010, she had her first tryst with mainstream success with the series ‘The Dream of Red Mansions’, which was based on a famous Chinese novel of the same name. ‘New My Fair Princess’ came with further more popularity in 2011, and her memorable cameo in ‘Palace II’ also counted among a solid performance. The year 2013 suddenly changed everything and established Zhao firmly into the acting business. Her TV series ‘The Legend of Lu Zhen’ became a mainstream success and the best part about that was that Zhao played the leading character in the series for the first time. Zhao became popular in the neighbouring countries like Japan and South Korea owing to her great performances. The series also managed to hit a home run at the award season that year as well, as Zhao became the recipient of many New Actress awards at the events like China TV Drama Awards, the LeTV Awards and the Tudou Young Choice Awards. Zhao followed her new found success with the film ‘Palace: Lock Sinensis’ and she played a villain therein, a bold step not taken by many Chinese mainstream actresses. After that came a string of good performances, which further established her into the mainstream. Her next drama ‘The Legend of Chasing Fish’ became one of the best rated series’ that year and she also starred in 2014 in the comedy drama series ‘Boss & Me’, which was based on a highly successful novel titled ‘Shan Shan Comes to Eat’ and it became a massive hit domestically as well as overseas. 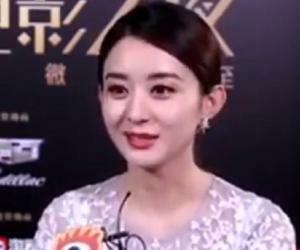 For her great performances, Zhao was honoured with ‘The Golden Eagle Goddess’ award at the China Golden Eagle TV Art Festival, in which she also performed in the opening ceremony. By the end of 2014, she was at the very peak of her career, with one more successful appearance in ‘The Romance of the Coundour Heroes’. Her career further grew with the highly successful drama ‘The Journey of Flower’. This series was watched by a record number of viewers in China and Zhao went on to win Best Actress in a TV Drama award at the Macau International TV Festival. She then achieved moderate success with the series ‘Best Get Going’, where her performance was quite well received. She focused a bit more on her film career in 2016 and appeared in films back-to-back titled ‘Royal Treasure’, ‘The Rise of a Tomboy’ and ‘Life of Our Own’ and continuing her success with the TV, she appeared in two successful series’ titled ‘The Mystic Nine’ and ‘Noble Aspirations’. For the former, she won a few awards for her performance and the latter one became one of the most successful dramas of the year. In 2016, she appeared in the war drama ‘Rookie Agent Rogue’, which was a moderate success. By the end of the year, the data accumulated presented the fact that Zhao’s total viewership for the year had crossed more than 110 billion views, making her the most successful actor of the year. In 2017, she starred in the film ‘Duckweed’, which was riding quite low on the expectations but became a sleeper hit on the box office and gained recognition among the film critics as well. Zhao then made an appearance on the small screen with a historical action drama series ‘Princess Agents’. The series became a commercial success and achieved some good ratings by the drama critics, who particularly praised the performances and the storyline. In July 2017, Zhao was awarded as the Most Valuable Actress of the year by CCSmart Star Value List Release Ceremony and Forbes China named her among the 30 Under 30 Asia 2017 list. Zhao Liying was said to be dating Gao Ziqi in 2010. The couple denied the rumours but people closer to them hinted that they were indeed in love. She has been linked with several others of her co-stars, but there was never any confirmation. In 2016, it was rumoured that Zhao was married to Wang Hao, her long time boyfriend.